Fr. 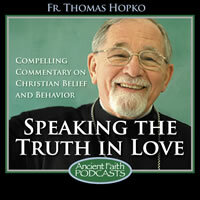 Tom sees a significant reality at this midpoint of Great Lent after the Sunday of the Cross. Fr. Apostolos helps us understand the centrality of the Cross for salvation. Fr. Apostolos addresses Christ's triumph through the elevation of the Cross.